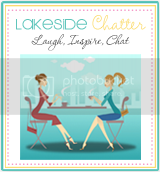 Lakeside Chatter: Thoughtful Creations - Unique Basket's for EVERY Occasion. 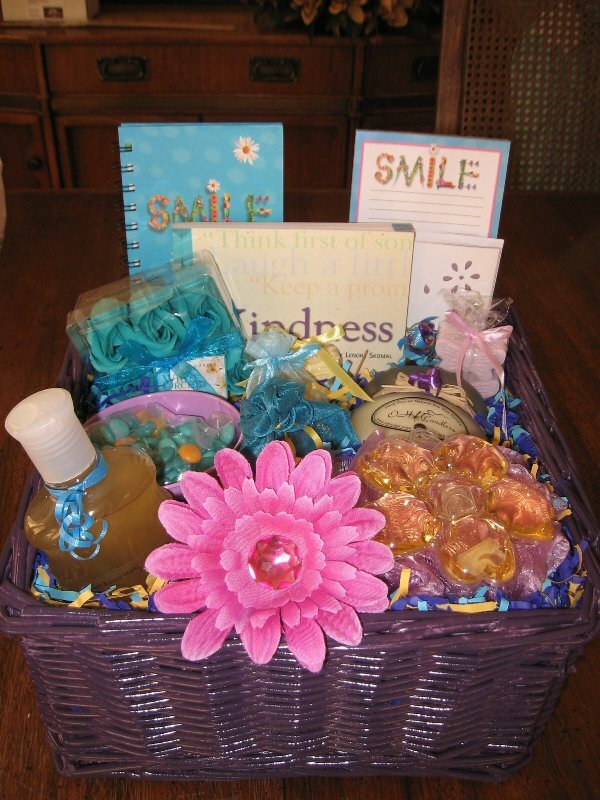 Thoughtful Creations - Unique Basket's for EVERY Occasion. Happy almost April. It is officially spring and I can't think of a better Mom to feature this week than Ms. Christine and her amazing ideas behind her unique and whimsical gift basket business called "Thoughtful Creations." The name most certainly stands by itself and offers you an unlimited supply of choices when it comes to giving a thoughtful and sentimental gift for just about every occasion. 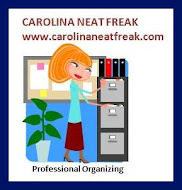 The former catering manager for Ritz Carlton hotels turned "Mompreneur" Christine is located in the Fort Mill area of SC. The idea of customizing baskets came naturally to her after years dealing in the hospitality industry. "You learn how far a little extra special touch can mean to a person," she tells me. 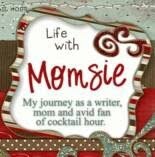 With so many different gift basket companies in the area and on the Internet, my first question to Christine was what makes "Thoughtful Creations" so unique? 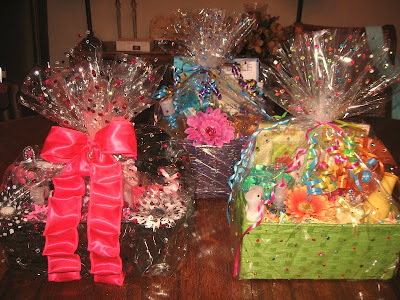 “Every basket contains something special that is specifically designed for the individual receiving the gift" she says. Christine, whose main job is Mom to daughter Shaylyn, age four, designed her first basket for her Mom who was ill and in the hospital. Using a lady bug theme which stands for "Love Luck and Joy," she received many comments on how sweet and creative the idea was and thus began her journey into coming up with "Thoughtful Creations." ﻿﻿﻿﻿﻿﻿﻿Every basket has a thought, an emotion, even an "attitude" behind the themes she creates. 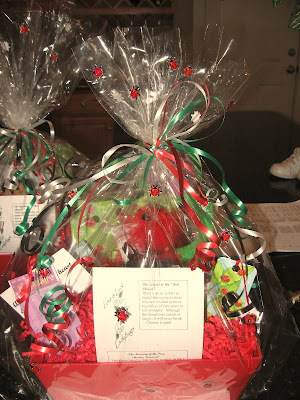 Using a wish list that is provided to her by a friend or family member of the individual receiving the basket, she will then get creative with making sure each basket includes a theme and a meaning that is specifically unique to that person. 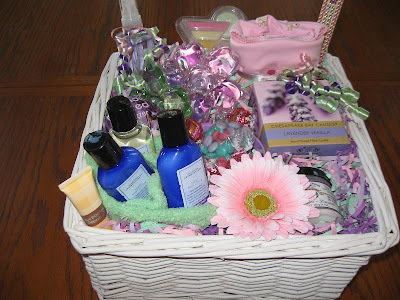 The basket will represent that individuals preference whether it is through colors, scents, food, reading material, hobby's passions....The list is endless but the final result means a very personal and very meaningful gift that will make sure to leave a lasting impression on someone. Right away, I learned that Christine is a professional and wants to get the task assigned done right. Customer service is everything and making people happy is one of her favorite parts in owning her own business. "I put heart and soul to each basket so I only do two a week. 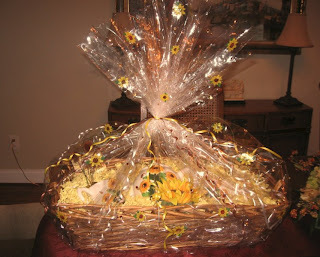 I want to make sure the basket has everything it needs to really make the person feel special. I don’t want it too look like a basket you would see in a catalogue with just some generic items. This one will tell a story and that story is what I hope will bring a smile to someone face." I was immediately impressed with how easy she is to talk to and she really cares about every basket she creates. A personal touch Christine usually adds is decorating the outside cellophane with unique or whimsical eye catching decorations. “I did basket for a friend of mine last month and she loves Sunflowers.” I made sure the packaging matched her love for sunflowers as much as what was inside the basket. It sat on her table for a week, she didn't want to open the beautiful presentation. " 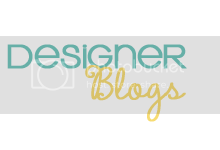 Whether it is for a new baby, an illness a wedding, graduation or "just because," there are so many great ideas for Christine to get her hands on and put her creative touches on as well. She even does basket's for men.